Tired of your parlour aunty taunting you for not taking care of your skin & unwanted body hair? Get yourself a permanent and safe solution with Richfeel’s new cool brush hair removal technique. Love grooming but hate to take those parlour appointments? Also, ain’t nobody got time for that painful waxing and the shaving hassle. We found an awesome solution that will solve your skin & hair related woes. 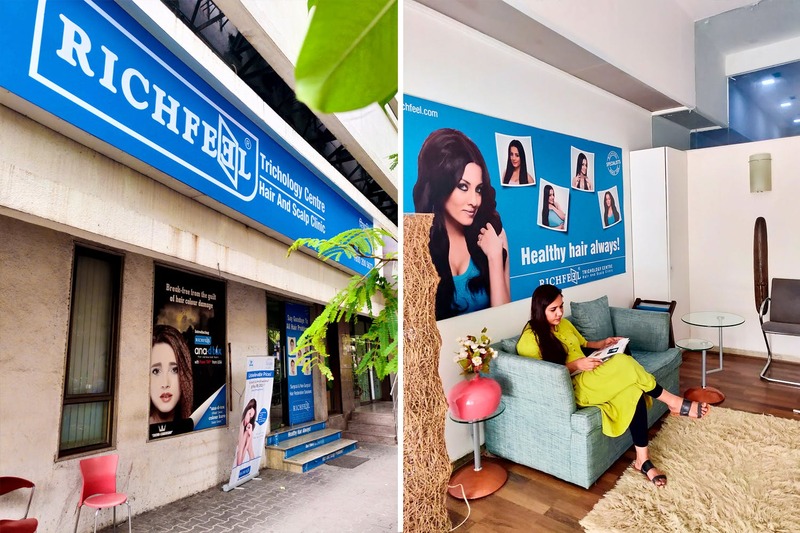 Richfeel has a unique Cool Brush hair reduction technique which is also one of Europe’s premium laser treatment that’ll help you get rid of your unwanted hair. Named RF ICE CUBE 2.0, this hair removal technology causes minimum pain and shows faster results. A whole lot of women from age 20-50 have tried it and we have come to a conclusion that it’s both safe and comfy. The best part is you can carry on with your daily activities without having to wait as this process has comparatively lower downtime than others in the market. The upper lip technique is their best seller and is up for a grab at INR 1,500. We have saved the best part for the last, they are giving away this amazing treatment at a down payment of INR 1 with easy instalments. All you have to do is give them a call on +91 9967486333 and book your slot. Post the down payment, you can opt for easy EMI on all credit and debit cards (EMI approvals are subject to their CIBIL score & banks approval) To know more about their skin & hair services visit their website or follow them on Facebook & Instagram.